Copper, zinc, selenium, calcium, sodium, chloride, magnesium, vitamin E, Vitamin D, Vitamin B1, folic acid, biotin….. and these are just a few of the list of vitamins and minerals that can be fed to horses. Look at the label on a vitamin and mineral supplement and you may see 30 or more different ingredients listed. What’s more, if you compare the labels of two or more different products from different manufacturers you will almost certainly find that even for the same vitamin or mineral there are dramatic differences. 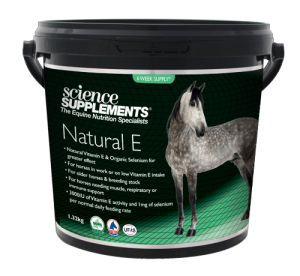 So what determines a horse or ponies vitamin and mineral requirements? There are a large number of different factors. For example, age, breed, soil type (on which forage was grown as some soils will be deficient for certain minerals and others may supply an excess), level of work, discipline (e.g. endurance versus racing versus eventing versus show jumping), level of competition (low to moderate to high) time of year, stage of growth (growing versus mature versus veteran), stallion, mare, mare in foal, gelding, underlying disease (e.g. respiratory disease, muscle disease, GI health), etc. In simple terms the requirements can probably best described by age and activity e.g. mature maintenance and or leisure (low-moderate activity), performance (mature moderate to high activity) and veteran (15 years or more and low to moderate activity). So how should vitamin and mineral supplements for these three distinct groups be formulated? It should certainly not be random or by guesswork. There is a large volume of scientific literature concerning requirements and safe levels of different nutrients of the kind that are usually included in vitamin and mineral supplements. Much of this information is readily available to anyone in the form of published scientific papers; it’s simply a case of sitting down and being able to evaluate it and apply it. Much of the information has also been incorporated into consensus publications such as the NRC (National Research Council, USA) Nutrient Requirements of Horses, the BASF and books such as Equine Applied and Clinical Nutrition. 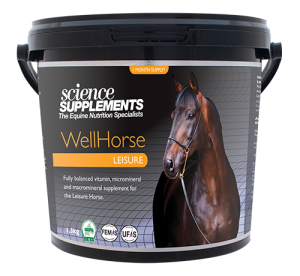 Our WellHorse range (Leisure, Performance and Veteran are formulated to meet these exact needs.